That's what I am suffering from now. 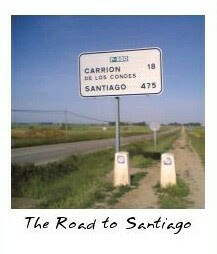 I have decided now to plan for my next camino. It will probably be from Le Puy in France to Roncesvalles in Spain where I have started my Camino. When will I do that? I am still not sure, but will probably happen within the next few years. But first, I have to polish up my French, which at this moment is pretty much non-existent.